Shell Oil Company is partnering with The University of Texas School of Public Health, a part of The University of Texas Health Science Center at Houston (UTHealth), in supporting a permanent endowed faculty chair in occupational and environmental health. The Marcus M. Key, M.D.-Shell Occupational and Environmental Health Endowed Chair provides funding to recruit and retain senior faculty in the school’s Occupational Medicine Program of the Division of Epidemiology, Human Genetics and Environmental Health. This leading corporate partnership honors the legacy of Marcus M. Key, M.D., and his contributions to the field of occupational health, particularly in the areas of teaching and mentoring. 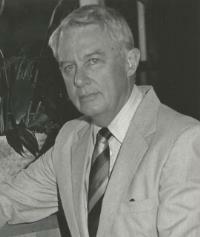 Key was a longtime faculty member at the UT School of Public Health, a former director of the Federal Bureau of Occupational Safety and Health, the founding director of the National Institute of Occupational Safety and Health and, for three years, Assistant Surgeon General of the United States. “Shell’s commitment to worker health and safety is vital to the success of the company. Occupational health programs like the one at the UT School of Public Health are important to keep a pipeline of highly educated employees and to find new and better ways to enhance worker safety,” said Faiyaz Bhojani, M.D., Dr.P.H., Shell Regional Health Manager, Americas. “This generous endowment will make a substantial impact on the Occupational and Environmental Health program at a critical time when we are committed to developing an innovative and cutting-edge program to train future physicians to treat, cure and prevent injuries and illnesses arising from workplace and community exposures,” said Roberta Ness, M.D., M.P.H., dean of the UT School of Public Health and vice president for innovation for UTHealth. 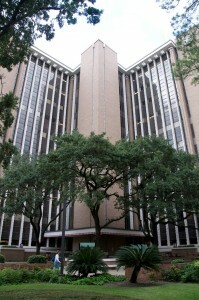 The UT School of Public Health is the oldest and largest school of public health in Texas and is highly respected nationally. The flagship campus in Houston coordinates programs at regional campuses in Dallas, San Antonio, El Paso, Austin and Brownsville. This statewide presence is an important health resource for Texas. The diverse populations and health issues in Houston and its regional campus communities give the outstanding education, innovative research and effective intervention programs of the UT School of Public Health timeliness and relevance important to all populations, communities and industries. Established in 1969, the school has graduated more than 6,000 public health professionals who are expanding the mission of disease prevention and health promotion with a presence in every U.S. state and 45 foreign countries.